Non-designers interested in learning more about typography. 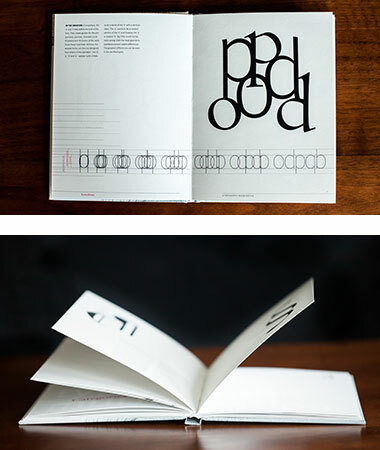 Objective Design a book on typography using abstract, vector illustrations and use a single theme to tie the book together conceptually. 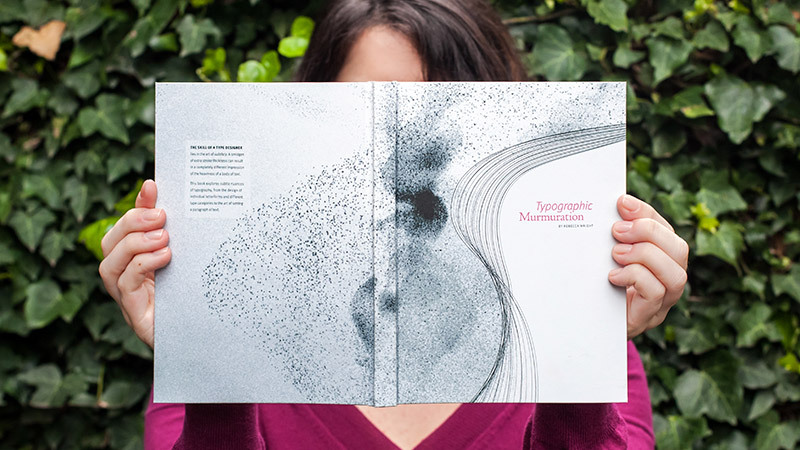 Concept Typographic Murmuration uses the idea of a murmuration—a flock of starlings—to demonstrate typographic principles. The illustrations convey the sense of graceful movement and fluidity that is seen in murmurations. 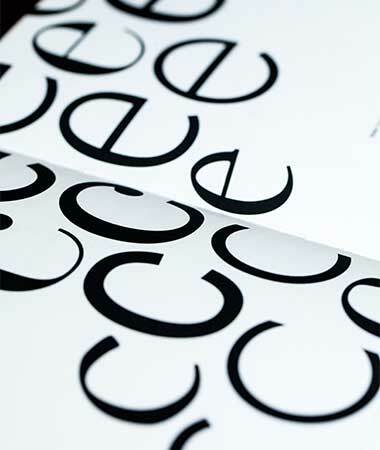 The content starts with the design development of letterforms, then discusses the different categories of typefaces, the design of font families, and the art of setting type. It aims not only to explain the rules of typography, but also to give a sense of the hard work and skill involved in designing typefaces and setting type, and the tradition behind the nuances in the written form of our language. Visuals The color scheme is limited to a grayscale palette, with white and magenta as bold accent colors to keep the reader’s focus on shape and form, and make the graphics more impactful. The two typefaces, Meta and Centaur, complement each other with their similar humanist shapes. The combination of the modern sans serif Meta and classically old-fashioned serif Centaur demonstrate the range of different letterforms. Graceful, arching lines flow across the page, and patterns of parallel solid and dotted lines convey a sense of forward movement. 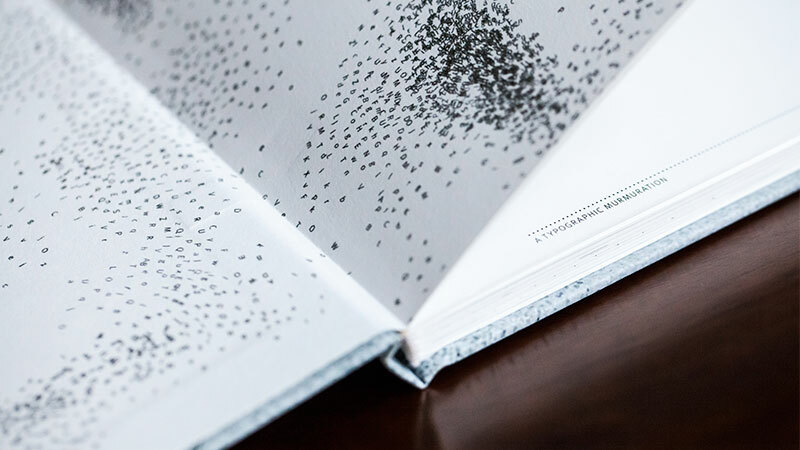 Flocks of Meta letterforms, created using a flocking simulator in Processing, gather along the lines and cover the endpapers. Large, black letterforms bleed into one another in bold illustrations of typographic principles.